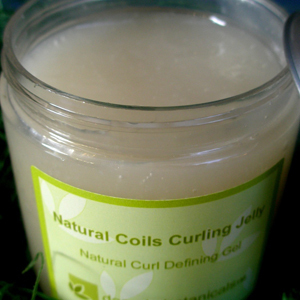 Our Natural Coils Curling Jelly will give your natural coils & waves ……. Our Natural Coils Curling Jelly works to enhance & define your natural coils and waves while also giving you hold, softness, and healthy conditioning. NOTE: Many of our type 4’s are getting the best definition from twist-outs and braid-outs. The Natural Coils Curling Jelly can also be used to style twists, braids, and locs. It is an excellent gel for holding and re-twisting locs. We have found that it works best when hair is clean & damp or lightly spritzed with water before applying. Remember when using natural products, a little truly goes a long way.